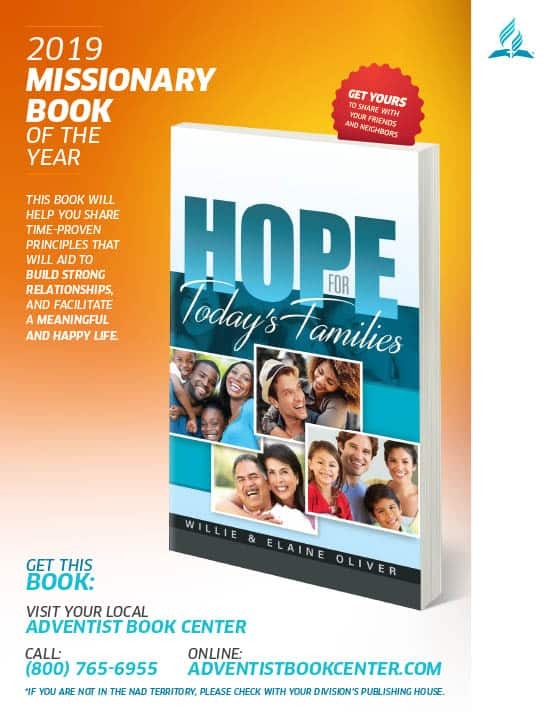 There is hope for you and your family! We live in challenging times. Our lives are saturated by information, activities, and senseless expectations. The stresses of modern life make healthy relationships more difficult to achieve and sustain. Couples and children live under the same roof but communicate poorly at best. Many want the stability of a strong family life but don’t know how to attain it. Help you communicate more effectively, understand and heal the roots of violence, prevent distress and divorce, or live happily as a single person. Download here the first chapter. Note: If you are not in the North-American Division territory, please check with your division’s Publishing House. Willie and Elaine Oliver, are experienced family life counselors who travel around the world to show families and individuals that healthy relationships are possible through marriage conferences, retreats, and relationship seminars. They are founders of From This Day Forward marriage conferences, Journey Toward Intimacy marriage conferences, and host a weekly family program on Hope Channel called Real Family Talk with Willie and Elaine Oliver. ¡Hay esperanza para usted y su familia!